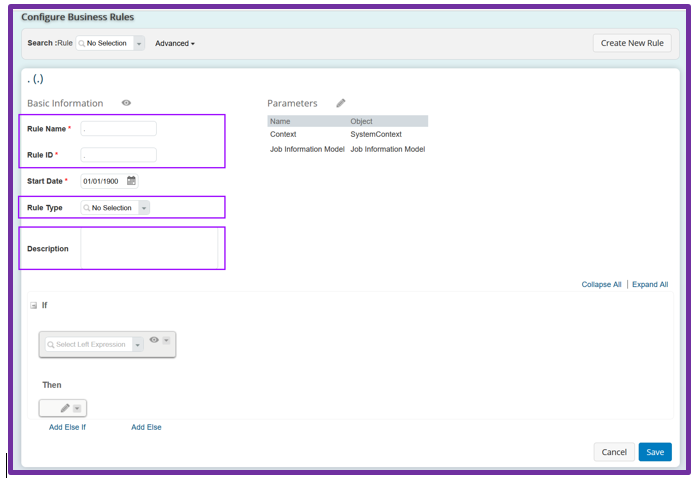 Business rules in SuccessFactors make it possible to implement client-specific system behaviors and functionalities in SuccessFactors Employee Central, in MDF Object used in other SuccessFactors Modules and in Custom MDF Object. Business rules are simply great (and can be highly fun to implement!) allowing the system to become highly flexible to meet very specific client, industry or country needs and making SuccessFactors unique for every client. But with uniqueness comes complexity. In addition, business rules are not part of any configuration workbooks. There is no rule amount limitation. Some rule can be simple and understandable in a glimpse of an eye; some can be highly complex using a mixture of available rules’ functions. Two business rules could sometimes conflict with one another and can produce unwanted result which are difficult to trace. In short, as useful as the business rule tool is, it is even more important that these are well managed within the system. Let’s face it, right now, we, SuccessFactor implementers, are quite lucky implementing in brand new fresh client instances. However, it will come the time that we will be asked to do improvement projects on existing instance and if we do not do a good job documenting and naming the rules in the effective manner, it will be a nightmare later for the folks supporting and enhancing the solution. (That will also mean more support tickets to SAP). In this blog entry and subsequent updates to it based on our experiences, let’s device a mechanism towards the naming convention for business rules. For the continuous improvement in this area your feedback in the comment section is paramount. Please do not hesitate to criticize and suggest your way of naming the business rules. About time to do some mutual learning and set some standards! There are 3 areas that we can use to document our business rules in the system: The Rule Name / ID, the Rule Type and the rule Description. Business Rule Name/ID should identify where the rule will be affecting the system (where is the “change” is happening). Business Rule Name/ID convention should be able to evolve with time. I’m hopeful that someday all modules of SF will be able to incorporate Business Rules and therefore, our naming convention should be able flexible for when this time comes! Rule Type picklist should be up to date with your configuration and maintained for your Business Rule. Based on what is enabled and configure in the system, whenever the implementation guide specifies to add a value to the Rule Type picklist it should be done and used. I use the rule description box to specify the Rule Event (onInit, onView, onValidate, onSave, onPostSave, saveAlert, delete, onChange of field X) and I add a small description of the rule. You need to be concise here as the description box is limited to 128 characters. Here is the generic format of proposed naming convention for the Business Rule. Please note that each of the entity in naming is separated by a hyphen for easy read. Significance of each of the entity is explained later in the blog. Other way is to start the business rule name with “Z_” but in case of more than one company or multi-country system adding company short name makes sense. These abbreviations come handy in clear differentiation and investigations. A brief description, cryptic it may be, but always will help especially when the list of rule is revisited for maintenance purpose. So, what will be Advantage of the proposed guidelines? Advantage of strictly following a naming convention is well known and proven methodology. In case of business rules, if not done so, it can become cumbersome to understand the dependencies between various business rules, written by somebody else or even by you after a time gap. Unless these guidelines are adhered to, the only option remains. Is to open all business rules one by one or business configurations for individual portlet to know what goes where. Another advantage is resolving support tickets quickly which seems like has become norm in the industry today. A consultant is expected to know it all from word go. It also, helps in avoiding regression defects and helps in providing holistic picture about all the rules and their nature being triggered for a specific object. 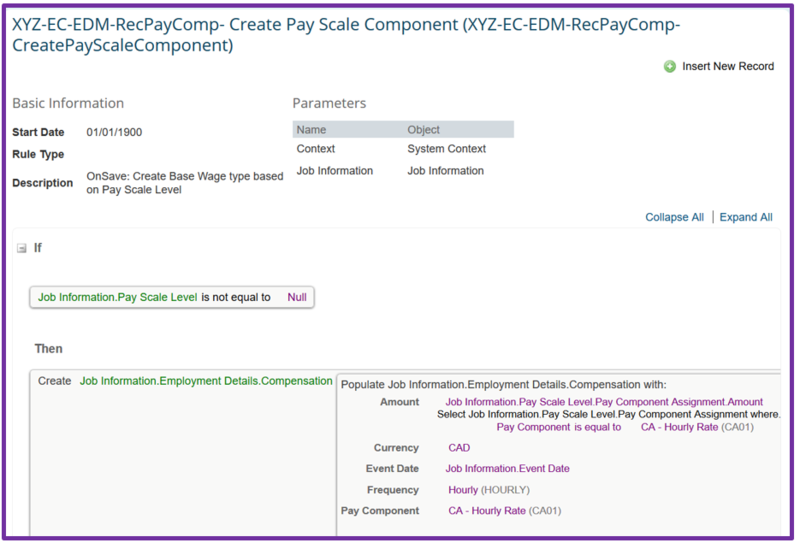 To give example, let’s say, I have to debug some Pay Component that should be generated automatically, I just check RecPayComp related rules and I know where to start my investigation. Good head start isn’t it? It is also easier for the support organization or system administrators to get ramp up more quickly when they are supporting the system after go live. And also, useful for post EC implementations, for example the Onboarding consultant can search more easily and try to find out if rules are overwriting his ONB to EC mapping if we make it more easy for him to navigate the rule list! And above all, your client appreciates the work you have done for them after you are long gone. I hope that you have like reading about this topic. This is mostly about the documentation and it may not be the most interesting topic to read about but for sure the better governance around the SuccessFactors system configuration is necessary and in our best interest as implementers. So, stay organized and for my curiosity please share your experience and improvement points in the comment section of this blog. Thanks for this wonderful and very helpful guideline. I hope we can adapt to something similar and this should help alleviate the need to dig in to all the rules when debugging. Thank you Harshal, please let us know how it goes!